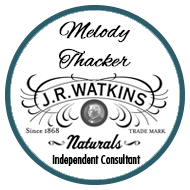 Soon to be discontinued Watkins Cleaning Products are only available in limited quantities. In order to make room for our new line of natural based cleaning products, some of our home care products will be discontinued and are now offered as limited quantities to the extent of stock. If any of the following are your favorites you may want to stock up now to avoid disappointment. I’ll be stocking up on the most popular Watkins cleaning products mentioned above for my local customers and for my own use. Visit WatkinsOnline today so you can do the same!